As you will see, there is a team from Andalusia competing in the Men's B Section. Obviously for those who know their geography this is a Spanish province, just as Catalonia is. 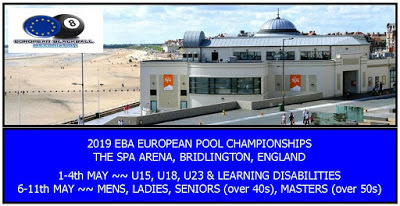 As Catalonia, who are established and respected members of the EBA, have entered a Men's A and a Men's B team the EBA has permitted Andalusia to enter as a 3rd Men's team from the county of Spain. However just like Catalonia they will not be called Spain, they will be called by their provincial name, Andalusia. 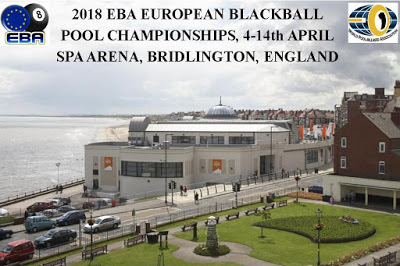 With Blackball expanding throughout Spain the EBA will be bringing both parties together at the championships in order to discuss and hopefully map a way forward which will allow all parties to play Blackball at EBA and BI level.